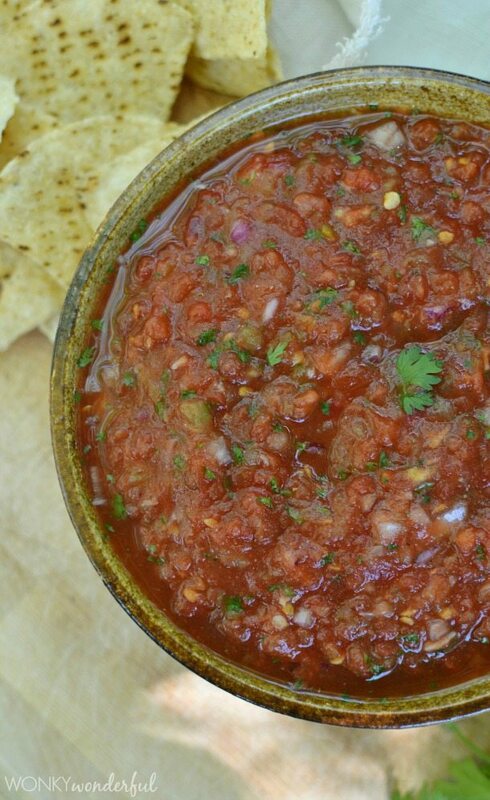 Restaurant style salsa doesn’t get better than this Easy Salsa Recipe. 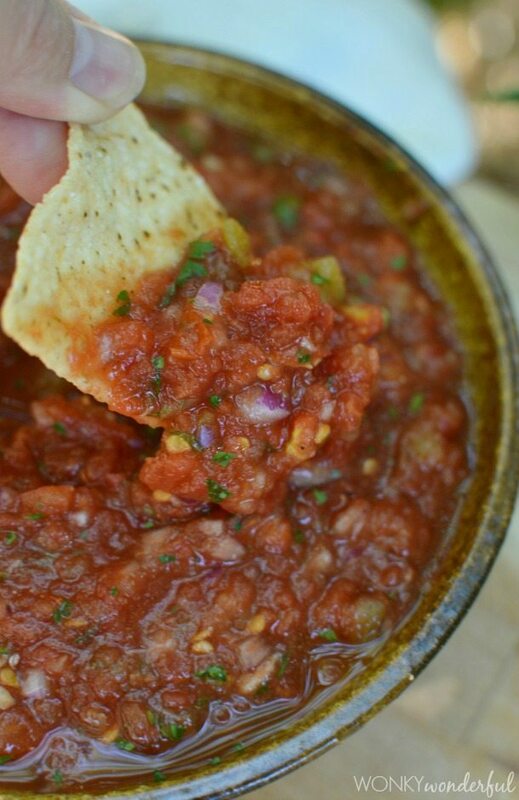 Make your own fresh and flavorful homemade salsa in less than 10 minutes! Enjoy this summertime snack with a cold, refreshing beverage! I kick back in a lawn chair and read a food magazine while my daughter climbs trees and plays on her rope swing. That is my Happy Place. And of course we need snacks and refreshments! 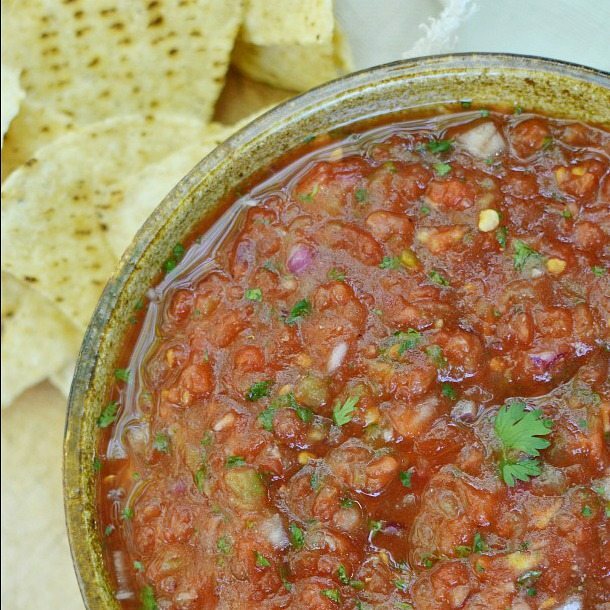 This Easy Salsa Recipe is perfect for backyard summertime snacking. And don’t forget the Dasani Sparkling to wash it down. So lounging in my backyard is what makes me Sparkle. Now the question is. . . What Makes You Sparkle? 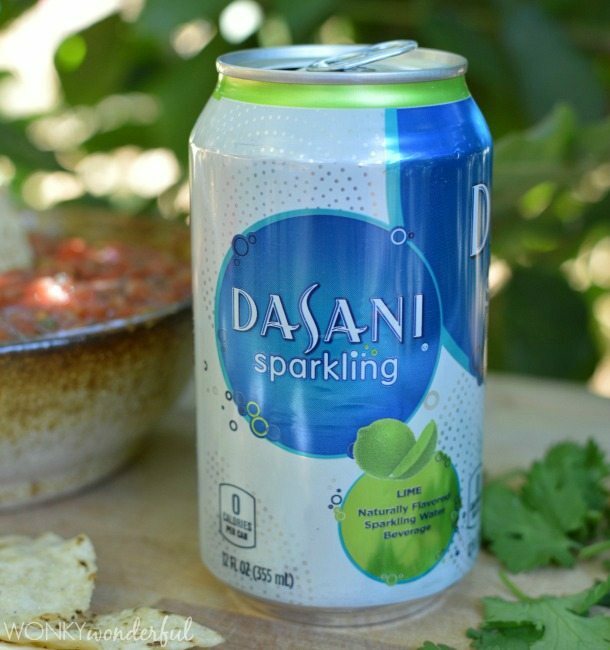 Right now Dasani is hosting an AMAZING contest! To enter all you have to do is uploade a photo of what makes you sparkle to twitter or Instagram with the hashtag #SparkleWithDASANI. You’ll also want to follow Dasani on Twitter so they can contact you if you win. The Grand Prize is a Sparkling Getaway to the Westin Diplomat in Ft. Lauderdale, and includes airfare, hotel and spa treatments for 4. Winner will be selected in early August. So Enter Now!!! Because if I don’t win this Awesome vacation for 4 . . . I want one of you to win! Hehe. Click Here For Full Contest Info & Rules! 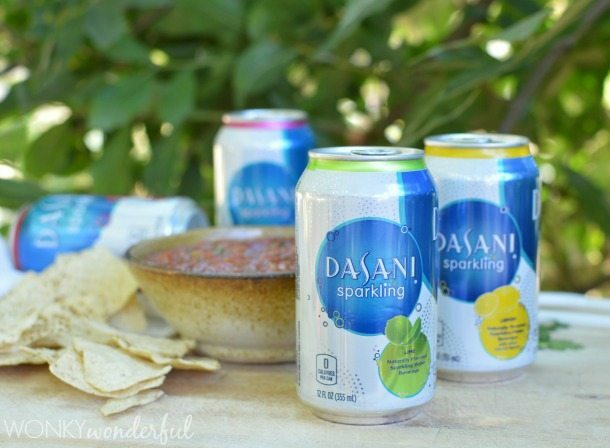 This summer keep your refrigerator stocked with Dasani and this Easy Restaurant Style Salsa! Refrigerate in an airtight container. Use within a week. There’s nothing better during the summer than hanging outside with some good chips and dip! Loving this salsa! 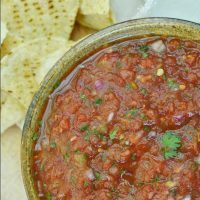 Fresh salsa really is one of the best things in the world! So easy and so GOOD!! How many tomatoes should I use if I use fresh tomatoes instead of canned? I these recipes I’m fining use canned, which is great, but I got some amazing tomatoes at the farmers market and would love to use them!! I’ve never used fresh tomatoes in this recipe. I’m sure it will taste amazing! I would guess about 3 cups of chopped fresh tomatoes. But, maybe you should add the tomatoes 1 cup at a time until you get the right consistency. The fresh tomatoes will be a lot juicier than the canned.